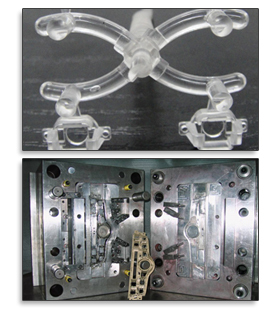 Based on our high-accuracy technology, combined high-tech alloy materials, we make rapid tooling with the shortest time. Meanwhile, various injection products can be provided with no any difficulty. Rapid tooling, the latest new technology, evidently becomes a momentous production process for manufacturing a large amount of samples. It not only lowers the cost, but strengthen the product competition in the ever-changing marketplace.